For years, the Jenkins project has enabled startups, individuals, organizations and enterprises around the world to “build great things at any scale,” from developer machines to datacenter servers to the cloud. They’ve done this via a worldwide organization of committed community developers, DevOps and CI experts. The Linux-based infrastructure that the Jenkins project uses has been running on a variety of platforms and servers, some provided by community members, others donated via the generosity of foundations and educational institutions. As the Jenkins project and demand for Jenkins has grown, the project needs a more reliable, more secure, and more agile Linux platform on which to build the next generations of their content distribution network and Java-based tools. To help the Jenkins project solve this problem, Microsoft is partnering with the Jenkins community to offer both compute resources and technical expertise to build a modern, robust development and delivery infrastructure on Linux and Java in the Azure cloud. Azure will also host the Jenkins Website and the Jenkins build that manages the website. Jenkins will offer Jenkins 2 and legacy Jenkins builds to teams around the world using Azure’s secure and scalable infrastructure. We are honored to collaborate with the worldwide community of Jenkins users, from startups to large enterprises, including the Java and CI open source communities. On Azure, we strive to offer you the most choice and flexibility. This deep collaboration with the fantastic Jenkins open source community builds on this commitment. 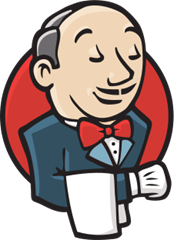 And of course, who wouldn’t want to join this community, given the really cool logo Jenkins has. Thanks to the Jenkins project for the great partnership!